Thomas finds himself stranded on a strange island which is inhabited by even stranger locomotives. Will he ever find a way back to Sodor? Thomas goes to the Great Railway Show and competes with some of the world's finest locomotives. Thomas finds an old engine and tries to restore him without The Fat Controller finding out. Thomas rediscovers the lost town of Great Waterton and becomes jealous of a new tank engine called Stanley. 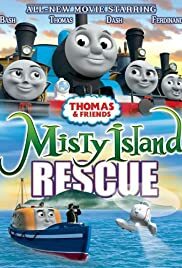 Thomas discovers mysteries of the past and must help a new friend, save a ruined castle and may even find some treasure when Sir Robert Norramby comes to the Island of Sodor. Thomas the Tank Engine's feature film debut follows Thomas and Mr. Conductor (Alec Baldwin) as they cross between the real world and the fictional Island of Sodor, in an attempt to recover lost gold dust. This popular series follows the adventures of Thomas the Tank Engine and all of his engine friends on the Island of Sodor. Thomas tries to solve the mystery of the Little Green Engine at the Blue Mountain Quary. When Thomas the Tank Engine first arrived on the Island of Sodor, he had a lot to learn. This special shows you how he became the Fat Controller's number one engine. Thomas and Mavis work together to get the steam engines and the diesel engine to help build the new airport in time. With the help of his new friend Gator, Percy learns all about being brave as Thomas spots some suspicious giant footprints at the Sodor Clay Pits. Reverend Wilbert Awdry is rolling in his grave! Where to start with this garbage?! 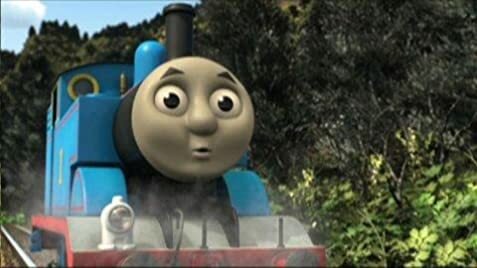 It introduces 3 incredibly annoying characters that almost rival Fred Figglehorn's obnoxious voice, it has a surprisingly disturbing racist quote against the diesel engines, any sense of logic and reason is completely ignored, there's an endless stream of irritating rhyming and alliteration, and even frickin' GRAMMAR ISSUES. That is just pathetic. It's Sharon Miller's absolute worst piece of writing, and it needs to be forgotten forever. I imagine this lazy broad burning in a fire whenever I think of this abomination of a film! This is a movie that goes against EVERYTHING the Awdry family envisioned for Thomas the Tank Engine. 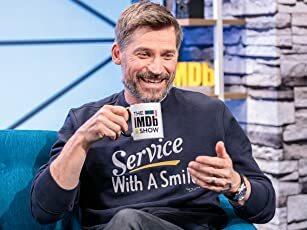 DO NOT see this. It's not canon, it's not interesting, and it's extremely degrading for your children. Skip this one at ALL costs.